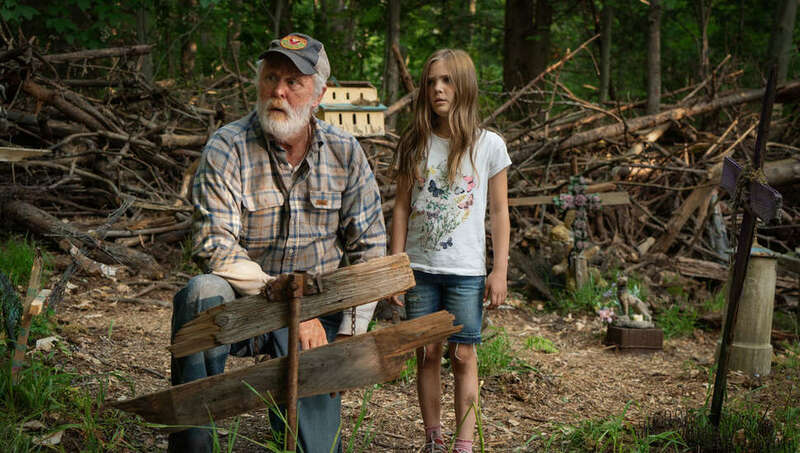 Why Is 'Pet Sematary' Spelled Like That, Anyway? 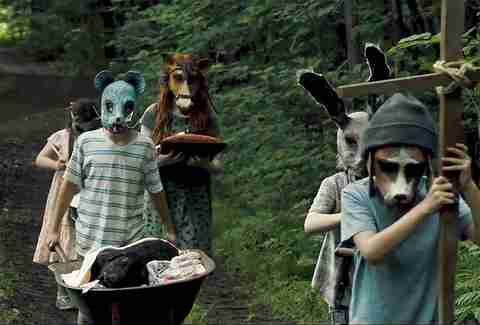 With the reinterpretation of Pet Sematary about to hit theaters, audiences will once again be immersed in the gritty world of one of Stephen King's most iconic and terrifying tales. Exploring death and the haunting grief that surely follows, Pet Sematary follows the young Creed family as they move into a new home out in the Maine countryside only to soon be met with an unexpected tragedy. Early reviews of the new film have been mostly positive, giving the movie an 80% approval on Rotten Tomatoes at the time of publication. And with the hype leading towards the film's release, people unfamiliar with the subject matter are once again asking a very important question: Why is Pet Sematary spelled like that? To answer that question, we need to give a little more insight into the story. After death hits the Creeds, and with the hesitant guidance of quirky neighbor Jud Crandall (played by Fred Gwynne in the original film, and John Lithgow in this new version), a burial ground located deep in the woods is revealed to Louis (played by Dale Midkiff previously, and Jason Clarke now), the family's patriarch, where, legend has it, the soil surrounding the plot of land has the power to bring the recently deceased back to life. Whether you're familiar with the rest of the story or not, it's easy to deduce that nothing good will come of this discovery. Creepy kids are a horror trope that Stephen King loves to use again and again, and here in Pet Sematary, it's a gang of young children who originally discovered, and thusly took ownership of, the graveyard in question -- using the land's magic to resurrect recently deceased animals, with the purpose of avoiding the pain that comes with saying goodbye to a beloved pet. And because these children are the cemetery's caretakers, the signage identifying the holy ground was created by them as well. Young kids don't, uh, typically have a full grasp on proper grammar. So that, in a nutshell, is why we ended up getting Pet Sematary and not "Pet Cemetery." The kids beefed the spelling. Originally published in 1983, the first film adaptation of King's novel hit theaters on April 21, 1989. Almost exactly 30 years separate the two films' release dates -- Mary Lambert helmed the original and co-directing team Dennis Widmyer and Kevin Kolsch (the guys behind the 2014 festival horror hit Starry Eyes) directed the new outing. While it sounds like the creepy foundation from King's tale, and the original film adaptation, are still there, it's looking like Widmyer and Kolsch's vision will take an even darker, more terrifying turn. If the new version of Church the cat is any hint, this is going to be one hell of a frightening flick.